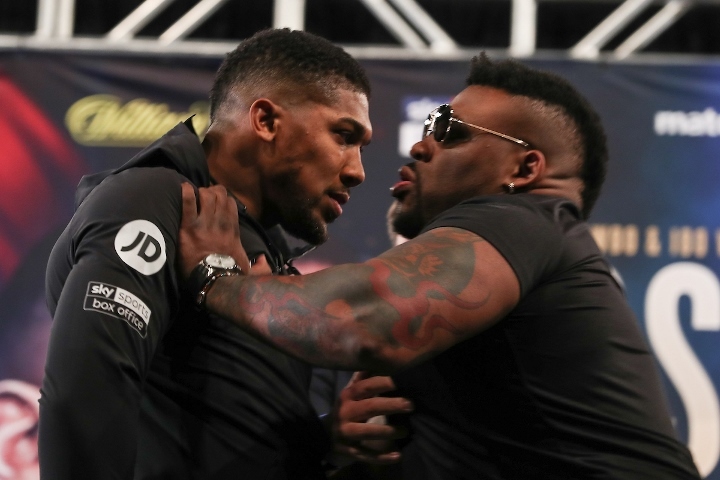 Anthony Joshua will be hoping to punish Jarrell Miller when they collide in less than two months. Joshua will defend the IBF, WBA, IBO and WBO championships against Miller on June 1 at Madison Square Garden in New York City. "Miller is big, strong, can throw hooks, has a good work-rate. It's interesting because I'll be the first one to test him, and see how good he really is," Joshua told Sky Sports News. "This is his chance to prove himself to the world." The contest will be Joshua's debut in the United States. But it's also Miller opportunity to shine in the spotlight. Miller has done everything possible to secure this lucrative contest, after baiting Joshua over and over during interviews. And Miller took things a step further after making things physical at their kickoff press conference earlier this year. All of Miller's pre-fight antics have riled up Joshua to the point where he's motivated to do a lot of damage. "It's not just about Jarrell Miller, it's about perfecting my craft. It's good to work on the position of my hands, fluidity, perfecting my weight," Joshua said. "Then at the end of it, I get to punish Miller. I said I will reconstruct his face. I am looking forward to seeing what his face looks like at the end of the fight." As Joshua stated earlier this week, he hopes to wipe out Miller - and then face WBC champion Deontay Wilder in the fall. Wilder defends his WBC belt against Dominic Breazeale on May 18. And another option for Joshua is Oleksandr Usyk, who makes his heavyweight debut against Carlos Takam on May 25.
is joshua really from the hood or does he extend his pinky whilst drinking tea?